General information and the most frequently asked questions can be found on these pages of the website. 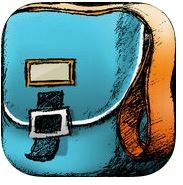 The School A to Z app is an essential tool for every parent of school-aged children. Produced by the NSW Department of Education and Communities, the app brings together a wealth of resources to help parents to understand and support their child's homework. Department of Education FAQs can be found here. Learning Potential - a great free site from the Australian Government Department of Education. Support your child's learning — at home! You want to help your child develop their literacy and numeracy skills, but working out how can be tricky. How do you find activities that reinforce and build on the concepts and skills your child will encounter in the classroom? The answer: this website. Everything here supports the Australian Curriculum for primary school, and is child (and parent) friendly. Browse by your child's year level, or search for a topic, and the website will suggest ideas, activities, games and videos you can use to support your child's learning.